For my first post, I wanted to keep it local. If I’m going to become re/acquainted with my home state, I’ve got to start close to home. I love living in Shorewood, but I’m guilty of routine. For months, on my way to The City Market for my early morning coffee, I’d walk past an earthy fair trade store with beautiful cold weather accessories alongside some of the scariest dolls I’ve ever seen, and I’d wonder what other treasures they were hiding inside. I’d drive past what I assumed was some kind of grocery store or restaurant called, quite simply and succinctly, International Food, and I’d marvel at how they could have managed to fit such a broad spectrum of product into such a tiny space. 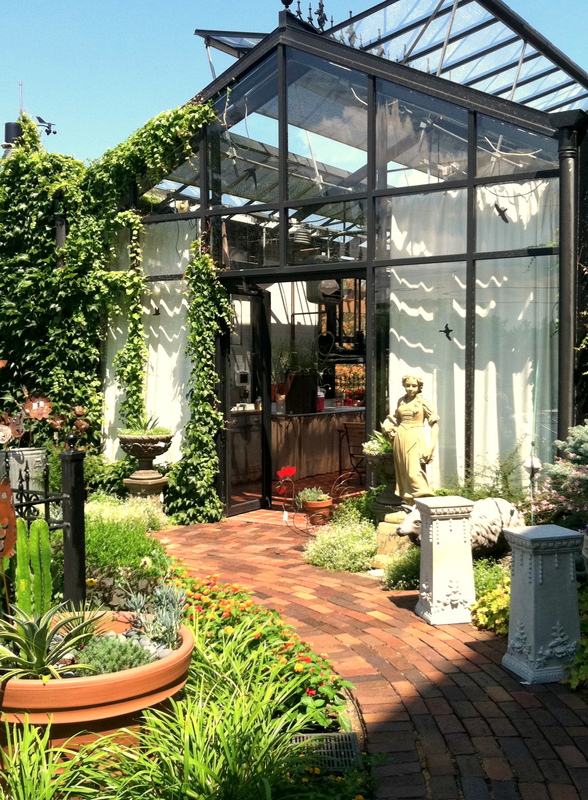 I’d admire the rooftop greenhouse of Garden Room from the street. Well, I’m proud to announce that over the last week I learned that International Food is one of several primarily Russian grocery stores in the area. While the fair trade shop is sadly closed, I wandered into the new, funky vintage shop Swanky Seconds that took it’s place. And yesterday morning, a steamy Sunday, the upper level of Garden Room was underlined and highlighted at the top of my to-do list. After a quick stop at The City Market for a large iced coffee, I took a stroll down to the next block ( yes – this first excursion did not require much of a workout). I’d been to the main level of Garden Room before. The front entrance displays plants and flowers, brightly colored pots and watering cans and other gardening accessories. Small running fountains hidden between plants force you into an instant serenity that continues as you head toward the interior. Inside is a gift shop, full of gardening supplies and creative green gifts. Vintage jazz is playing and sun is streaming through the skylight onto the tangle of green plants, falling over a balcony into the tea room below. 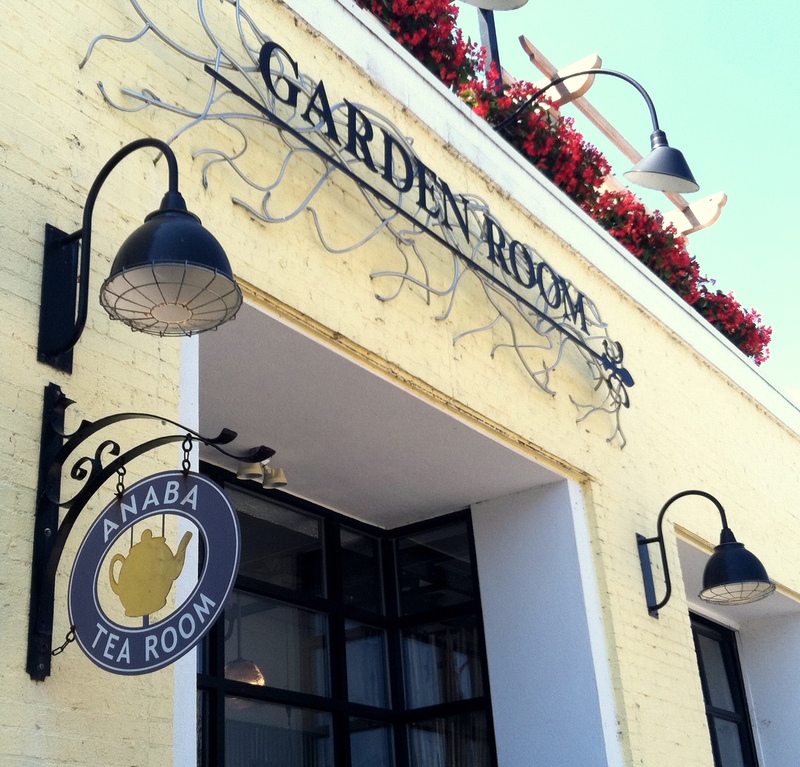 Take the steps down into the basement and you’ll find Anaba Tea Room, all clean lines Zen-like calm. Take the steps up to the rooftop and you’d find yourself in a greenhouse. Instead of plants, doors open on either side to encourage a breeze, and small tables and chairs are arranged as a continuation of the Anaba Tea Room. 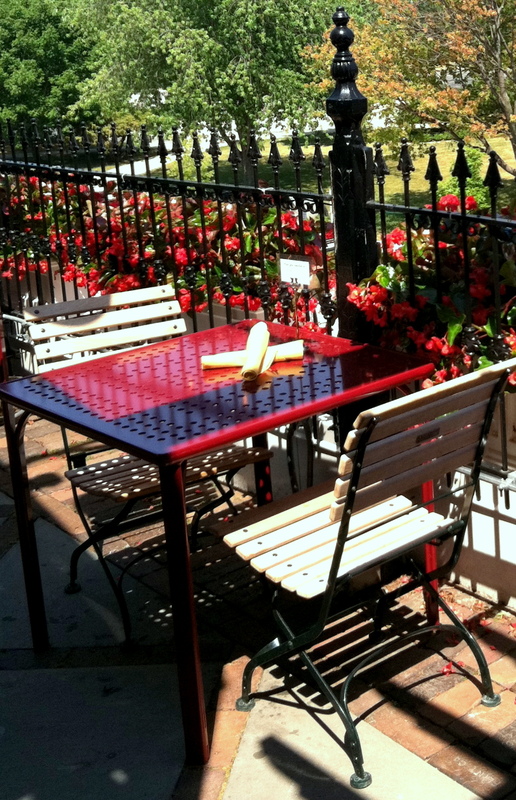 They spill out onto a balcony lined with red geraniums. Walk back through the greenhouse and out the other door to a rooftop garden where gargoyles and other statues line a brick path for you to follow. I’ll admit it was too hot to stick around for long, but it’s a brief break from reality on East Capitol. I’ll be back for tea in in the rooftop greenhouse.